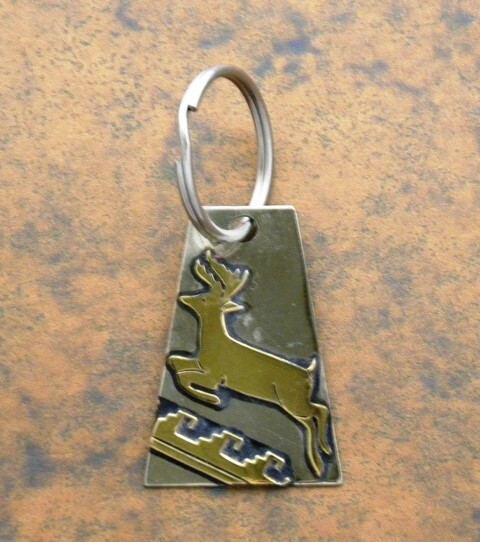 Sterling silver & 12kt Gold Fill Navajo handmade by Tommy Singer Key Chain. Tommy Singer (1940 - May 31, 2014) is a World Famous Navajo Silversmith. His distinct style of Indian Jewelry is recognized the world over. Tommy is considered by many as one of the greatest contemporary Indian jewelry silversmiths of our time. His Native American Indian jewelry work is coveted by collectors and enthusiasts alike.